In my home normally dhuli masoor dal was used and it does yum but after DH introduced whole masoor dal to me I have never looked back towards skinned version and change my sister, my SIL to use whole masoor dal too. Both the whole and skinned does taste different and whole masoor dal is more filling than the skinned version. 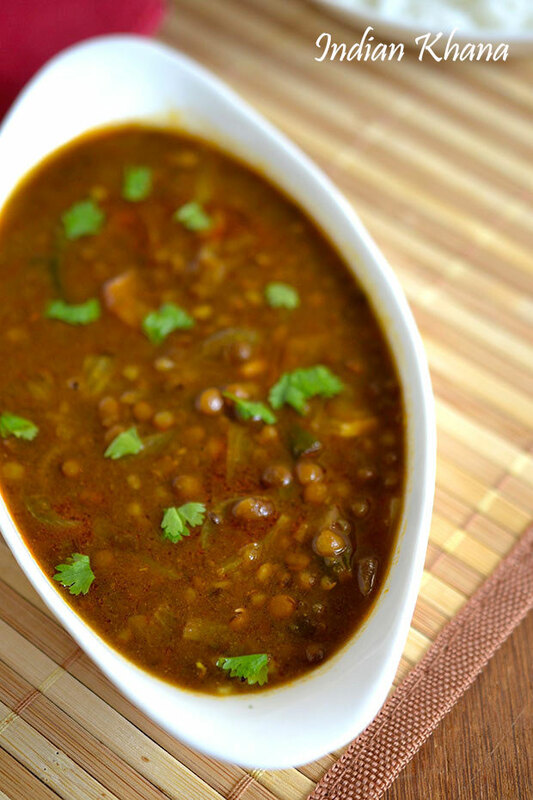 This dal by itself acts also as a sabzi so in general it's not very diluted but on thicker side. 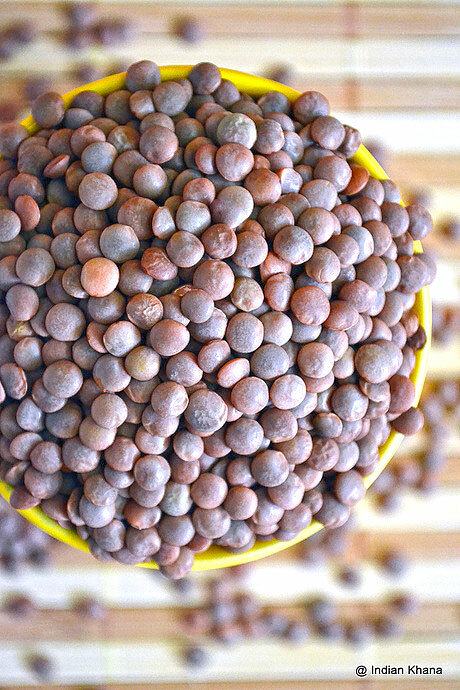 Here is how sabut or whole masoor dal (brown lentil) looks like, next time you see this be sure to grab a packet even if small to give a try and am sure you going to love it too. 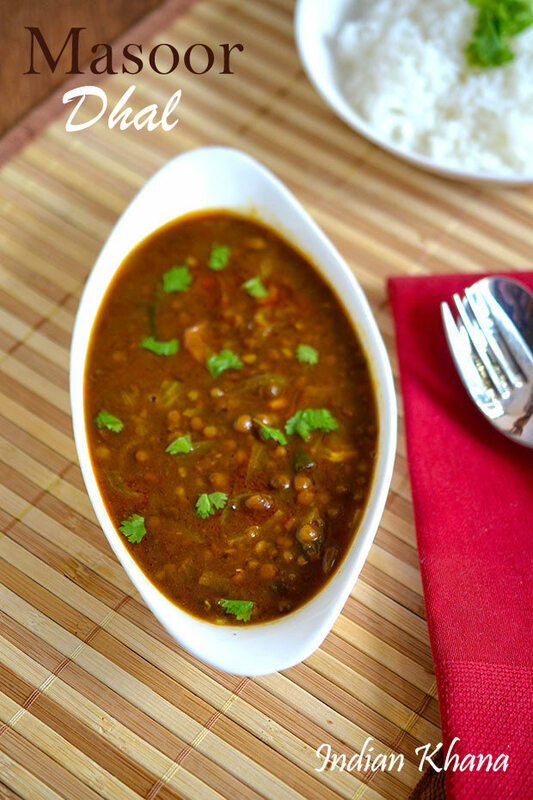 There is also same dhal made in tangy version known as Khatte Masoor Dal, you can try that too. 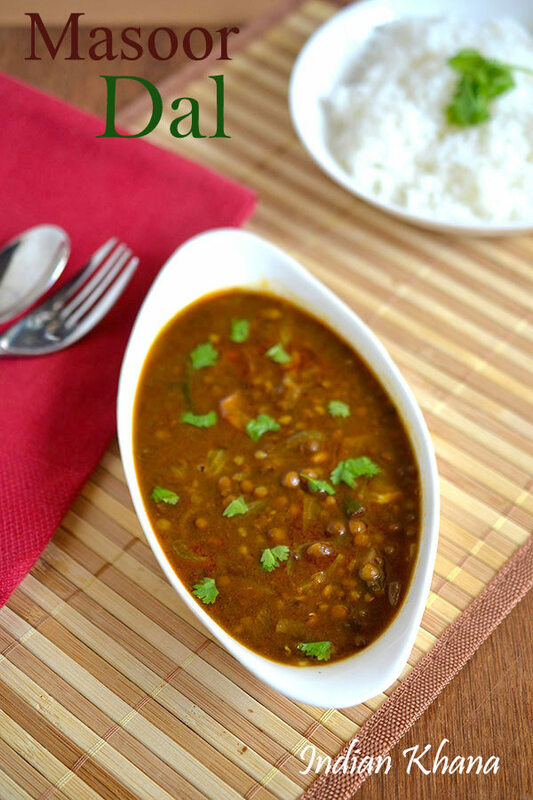 Healthy, flavorful dal with whole masoor or brown lentil. Wash and soak masoor dal for 10 mins, you can soak dal for 1-2 hours too. Meanwhile peel and slice onion, chop tomato, coriander leaves (cilantro) and green chilies. Pressure cook masoor dal with 1.5 to 2 cups of water for 3 whistles or cook in open pan until cooked but not mashed. If using futura, once steam starts to come keep flame to slow and simmer for 5 mins. In a pan or wok heat oil or ghee (whatever you are using), add asafoetida, bay leaf, cumin seeds and allow to splutter. Add onion, green chilies and saute for a min. Now add ginger-garlic paste mix well and saute until onion becomes light brown. Add tomato, red chili powder, turmeric powder, coriander seeds powder, mix well, cover and cook until tomato gets mashed with regular stirring. Add cooked dal, 1 to 1.5 cups of water and bring it to good boil. Now add salt, garam masala and simmer for 5 in medium flame or until dal thickens. Add coriander leaves, mix and off flame. 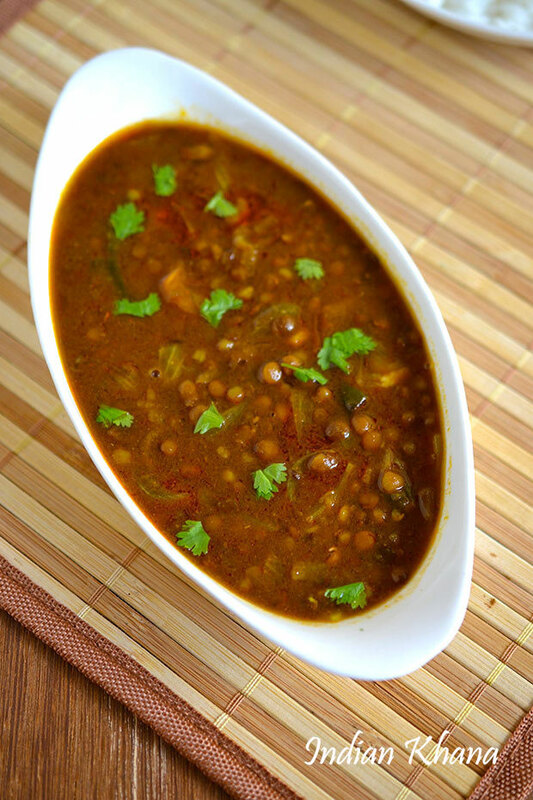 Serve hot or warm with steamed rice or jeera rice. 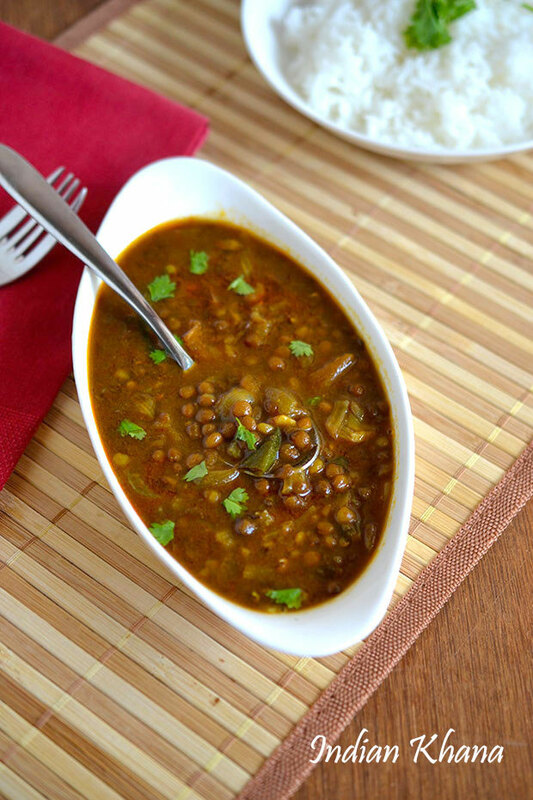 Delicious, filling masoor dal, a must try I say.